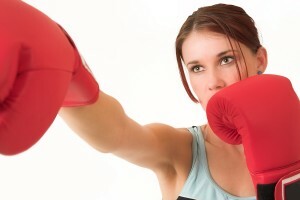 Burlington Cross Training is now offering women’s kickboxing fitness classes at our Burlington, NC training facility. Women’s kickboxing classes are great for women looking for a low impact, fast results training class. Train hard and get fit by participating in our kickboxing classes. Please contact us at (336) 380-2142 if you are interested in coming to a class. Mention you saw this website and receive a free week of kickboxing training classes.